Last night was one of those cooking disaster nights that ended with a call to Dominos. But at least it wasn’t my fault. On the menu was a mustard crusted pork tenderloin with a side of carrot salad. I cooked it. It smelled weird. It looked weird. I took a bite and spit it out. The hubby called Dominos. My best guess is that the store I bought it from didn’t have it stored at the proper temperature and it spoiled but they put it out for sale anyway. However, I did come away with an amazing side dish. 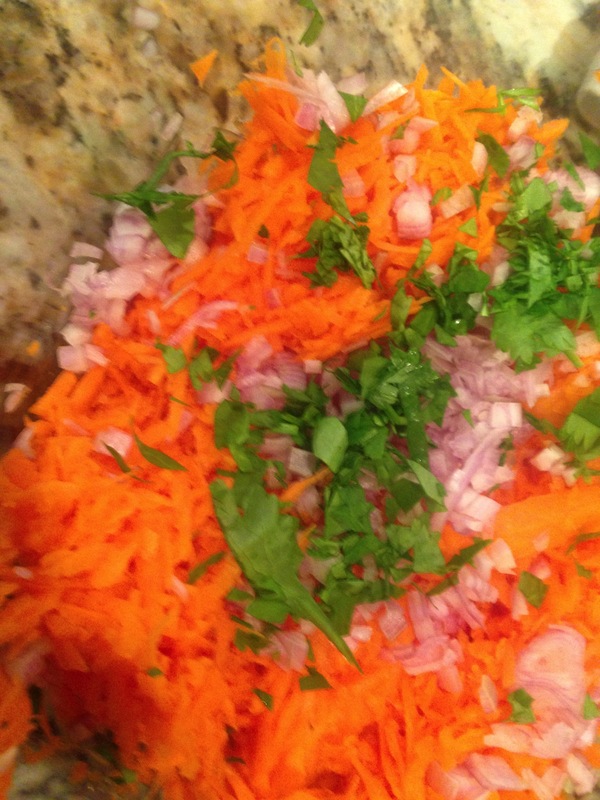 I wanted to make a carrot salad similar to one that my friend Beth always makes–it has thin ribbons of carrot in a tangy, citrusy vinaigrette. 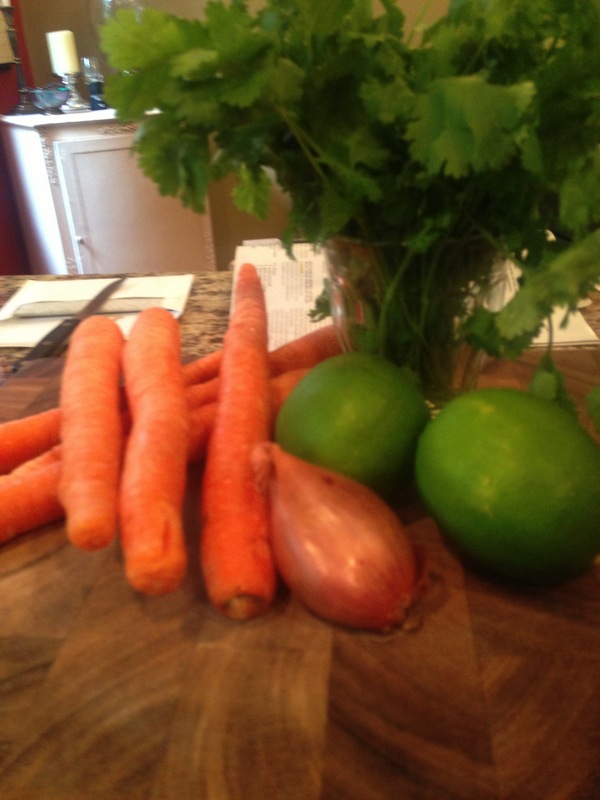 It’s similar to the classic French carrot salad, but I had some cilantro that needed to be used, so this is my version of that classic with a Mexican twist. Like many things French, this recipe is very simple with minimal ingredients, but delivers BIG flavor. Macgyver-ing things in the kitchen, a speciality of mine. Thumbs up because I am confident this will work. The results. On top, what I wanted. On the bottom, what the food processor gave me. At this point, I had dirtied at least 3 different appliances and had carrot everywhere. This was when I said “screw it” and just shoved all the carrot pieces in the food processor with the grating blade attached. I ended up losing a lot of carrot (it was a wasteful night of cooking) but at least I finally got something that would work. 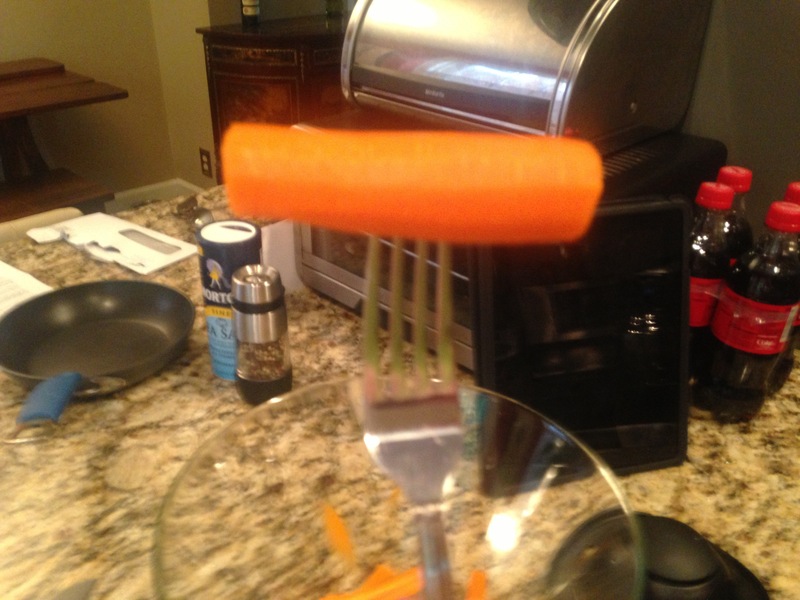 Moral of the story: Just grate the carrots. Don’t try to get fancy with it. This would make an excellent side to any meal and would be a great side dish to bring to summer cookouts. 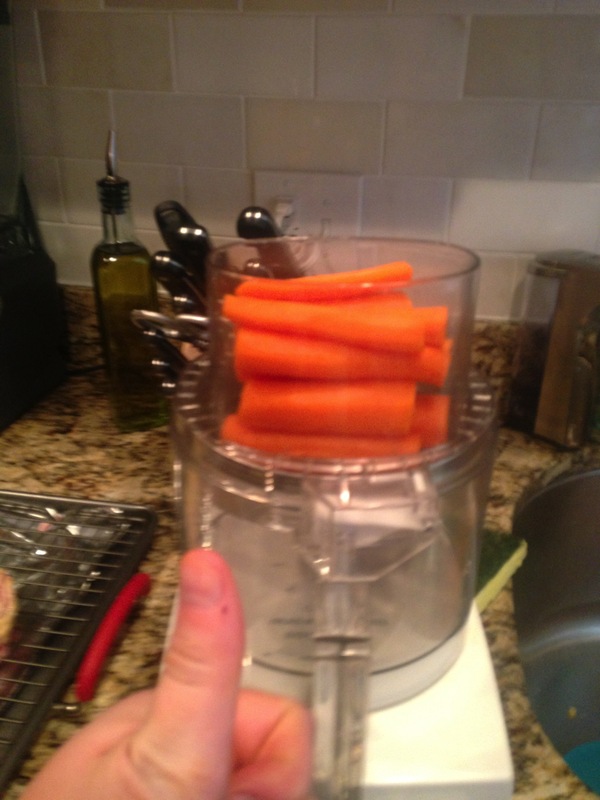 Place carrots in the food processor with the grating blade attached and grate. Cover with plastic wrap and let sit in fridge for at least 30 minutes for the flavors to blend. 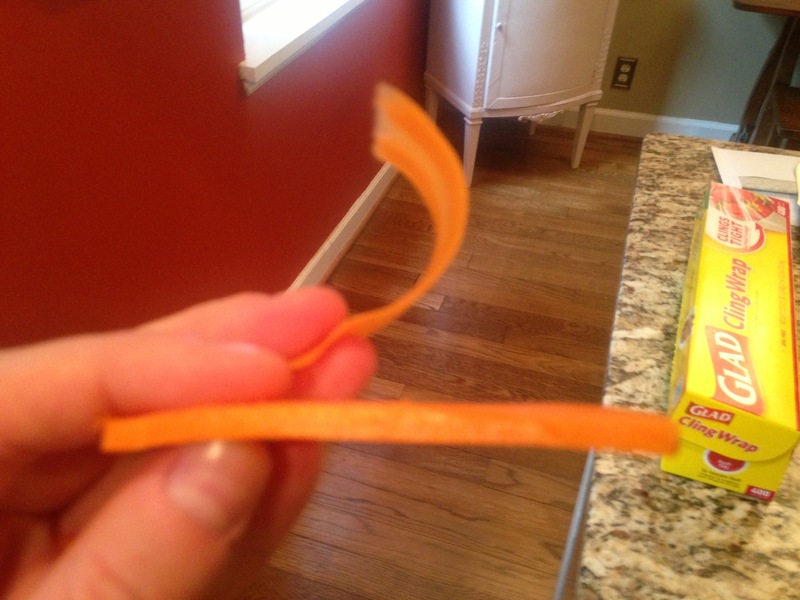 (Optional step if you try to get fancy) Spend 30 minutes scraping carrot off of things and cleaning various appliances. Or don’t and just grate the carrots. Before combining everything–aren’t the colors pretty?